Did a lot of tube rolling on this amp. I have IV model. I was very surprised when I got the amp – it sounded quite average, I started to wonder if I made a very expensive mistake, but since this one was my first tube amp, I didn’t know about tube rolling 🙂 Lo and behold, after I rolled tubes, this is my favorite amp!!! Interesting find about the amp – V1 is used as a partial phase inverter. MC uses a single triod to do phase inversion for both channels. It uses V1 to invert negative phase of the wave and leaves the positive part as is, so it converts unbalanced input into balanced. I use unbalanced input, so V1 plays a role. If using balanced inputs, V1 is irrelevant, but still have to be present since it’s in the heater chain with other tubes in the amp. V1, V2 & V5 make huge difference, the rest of the tubes have a very slight affect on the sound. 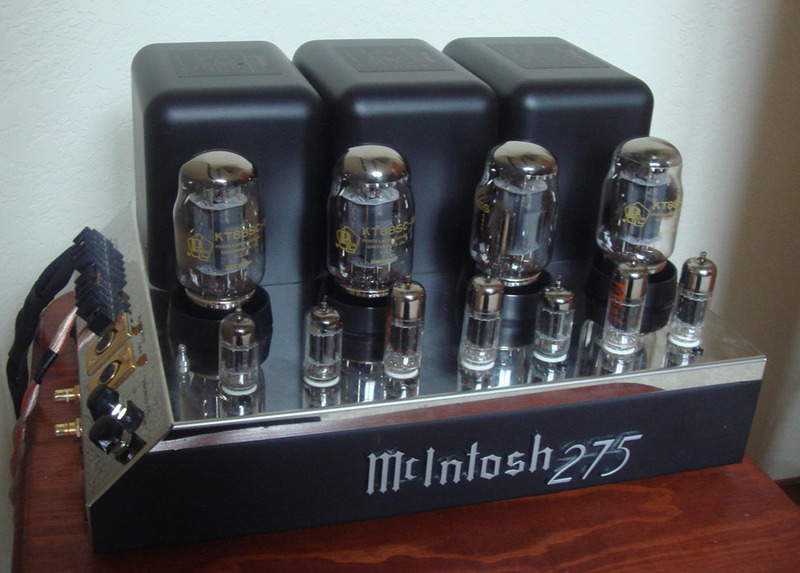 Original MC tubes – get rid of them. not detailed or warm enough. Telefunken 12ax7 long, smooth plate – need to be careful with this one. I have a very expensive set – select, very special with red tips. When I plugged 3 of them in MC, it destroyed the sound quality. It became very crisp and lifeless. Adding only one of them to V1 added great amount of details I had to compensate with Sylvania 12ax7 with black plates to make it detailed but warm at the same time. RCA 5751 – almost as good as Telefunken. Definitely a great tube. Would use them here instead of Sylvaniya, but I’m using them in my other amp. They are expensive and hard to find. Sylvania 12ax7 – great sounding tube. doesn’t have the details of Telefunken, but a great tube in the overall mix. Telefunken 12at7 – better than stock tubes, but the change is very slight. I think a lot of tubes would work great instead of Telefunken. I think I notice a difference, but it’s definitely very slight.